Whiter Teeth in Brandon is as easy as picking up the phone and making an appointment with Five Star Dental Care. 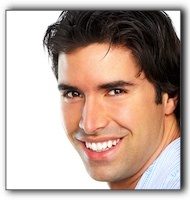 We specialize in teeth whitening for patients in the Brandon area. We can help you whiten your teeth through a number of solutions that range in cost, from less expensive teeth bleaching treatments that you can do yourself at home, to professional treatments that we can perform here in our office. If you are interested in a brighter smile, and whiter teeth, give us a call and make an appointment with our cosmetic dentistry. The hardest part will be dialing the phone, and in no time we’ll have you smiling bright. Give us a call at 813-653-2273. This entry was posted on Wednesday, December 22nd, 2010 at 10:18 pm	and is filed under Tooth Whitening. You can follow any responses to this entry through the RSS 2.0 feed. Both comments and pings are currently closed.